We have numerous rewarding volunteer opportunities! 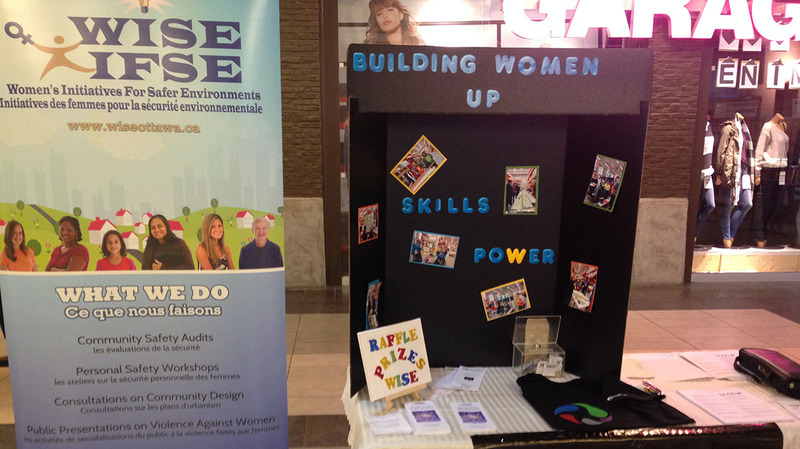 WISE participates in seminars, conferences and in- service training to incorporate the views of women and other vulnerable groups in the design and building of all sites. WISE consults on the safety concerns of women in the design or retrofit of apartments, neighbourhoods, parking garages, parks, campuses, transit systems and others. The Organization works closely with local Mayor and Councillors concerning issues on violence againstg women. (See photo of WISE with Ottawa Mayor). Call us to book speaking engagements on our work that relates to ending violence against women. Or to set up a booth at an information fair.